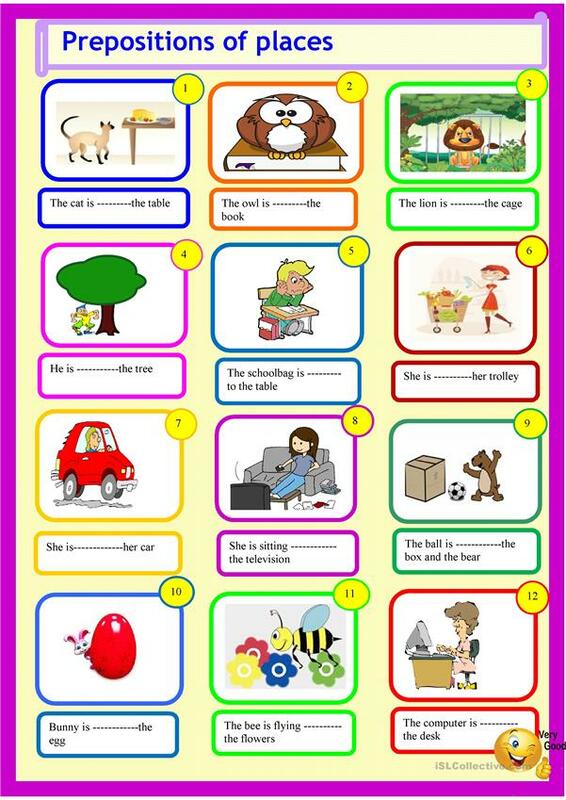 A very simple worksheet for young learners to practice basic prepositions of places. the lion is in teh cage. The computer in on teh desk, teh ball is between the.. The present downloadable printable is meant for high school students, elementary school students and students with special educational needs, learning difficulties, e.g. dyslexia at Beginner (pre-A1), Elementary (A1) and Pre-intermediate (A2) level. It is valuable for teaching Prepositions of place in English, and is useful for enhancing your pupils' Spelling, Speaking, Reading and Writing skills.